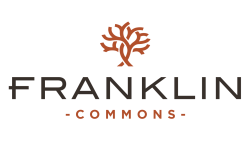 Boasting a convenient location close to everything, Franklin Commons is perfectly situated in the beautiful suburb of Bensalem Township along the Delaware River. Accessible by all modes of transportation, enjoy easy access to I-95, I-276, U.S. Route 1, Northeast Philadelphia Airport, and many more, making every possible destination only minutes away. Where you can enjoy a plethora of shopping, dining, and entertainment options, make your way to Parx Casino and Philadelphia Mills--both within just three miles. Immerse yourself in the sights, history, sports, art, culture, and good eats Downtown Philadelphia has to offer only 18 miles away! Between the University of Pennsylvania and various museums, and Citizens Bank Park, you will never live a dull moment. Also explore recreational pursuits at Pennypack Park and Bensalem Township Country Club nearby. Stop by and join us for a tour today!